The first one leads to a story/scenario trailer. The second leads to a game system trailer, and the last thumbnail, to the game's first released commercial. 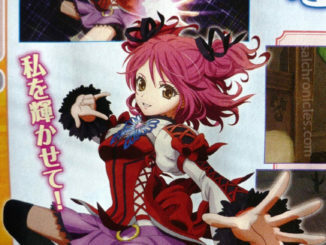 The story trailer starts with the introduction of a new character that is seemingly talking to Sophie. Not sure who is speaking at the beginning, saying that the thought of everyone disappearing one day is a very lonesome and scary thing, that she wants to be saved and can't help but be anxious about it. The new character, presumably, offers to eternally heal Sophie's heart that longs to be saved, to exchange her pain and to walk the path that has no end in time. We then have Mamoritai ~White Wishes~ playing. 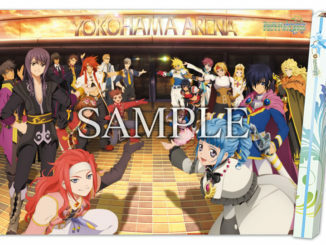 The rest show scenes from both the main game and the post-ending arc. The system trailer mainly talks about the game's new features, such as HD graphics, the post-ending arc, the Accelerate Mode, as well as the old features such as the game's battle system. In one scene, we see Hubert in his butler costume, sporting a Sophie doll hanging on his right arm. An attachment, perhaps? Or maybe part of the costume now? 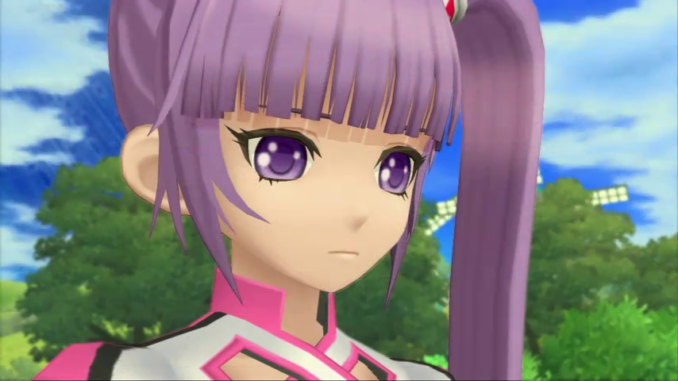 Last is the usual 15-second trailer of the game which also has White Wishes playing. 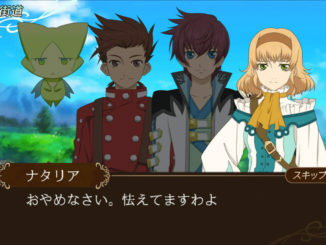 You can really tell how Asbel sounds more mature both in the commercial and the story trailer.